The NC or Mk3 MX5 requires the coolant to be replaced as it reaches 11 years old then every 5 years after that. This can be done without removing the front engine under shield. I thought some owners would want to confirm the condition of the front chassis rails at the same time, therefore I have written this “how to” together with a warning on the Mazda procedure to complete the coolant replacement with their premixed 55% antifreeze FL22 fluid. I was advised by the local Mazda dealer that a concentrated solution was not available from Mazda. Mazda along with Subaru, Honda, Suzuki et all in Japan now use a silicate free antifreeze of a similar specification. The MX5 has used the Mazda version since the introduction of the NC in mid 2005. The NC has a capacity of 7.5 litres of coolant with a recommended strength of 55% antifreeze. 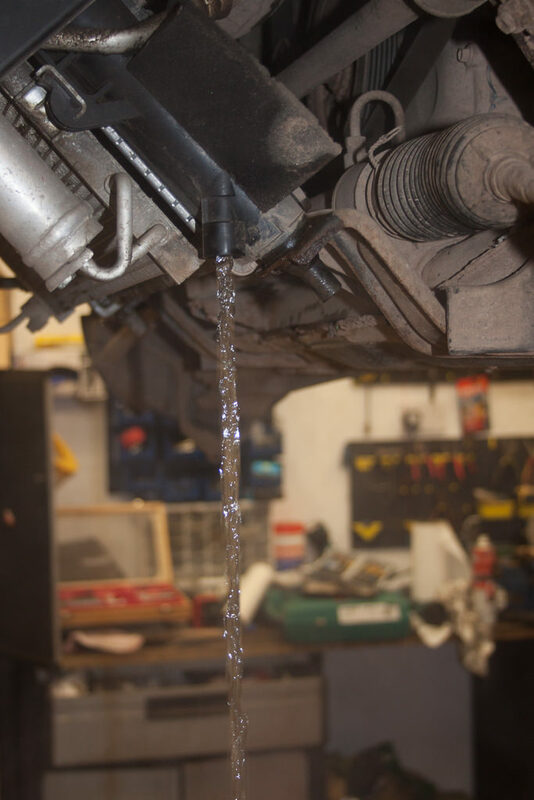 The engine retains around 3.5 litre of fluid when drained through the radiator drain plug, therefore there is only room to physically pour in around 4 litres of antifreeze after a cooling system drain and flush. I did not remove the thermostat to try to remove more coolant from the system. If you use the FL22 ready mixed product and have flushed the cooling system as instructed by Mazda to only see clear water coming out of the radiator drain plug, you end up with around 33% concentration of antifreeze in the engine. Let's say you get 4.5 litres of premix in the radiator at a push. That equates to 2.5 litres of neat antifreeze and a further 5 lires of water from both the premix and the entrapped water. That only protects the coolant from freezing to around -16C. There are a few readily available antifreezes products available similar to FL22 but in concentrated strength. Comma G30 is basically a resale of BASF G30 but is purple. The product I used is to the Mazda spec but concentrated and is green like FL22. It is RAVENOL HJC Hybrid Japanese Coolant Concentrate. The lowest temperatures in the UK in recent times are as follows. I will leave it to the reader to decide which product they use. Using a 55% antifreeze solution, the system is protected to at least -40C. Materials to purchase before starting the job. 10 off plastic fixers, if the cars is less than 5 years old probably 5 will do but I broke 10 of the 20 fixings on this 10 year old car. They do go brittle with age. For those of us who mess about with MX5’s a lot, buy a “party pack” as they are much cheaper this way. Underbody wax you should have some lying about not a lot needed so "borrow" some. Heat protecting gloves if the coolant is still hot better to wait until it is cool before draining. 5 litre open container for draining the coolant. Rags to clean up antifreeze spills. 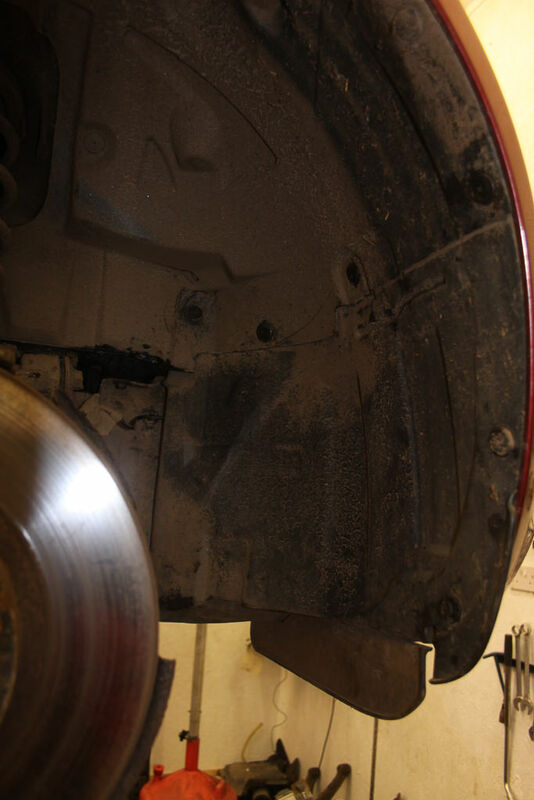 You require to get the car in the air to perform these operations therefore axle stands or a car lift and wheel chocs may be required to operate in a safe manner. Eye protection for splashes of antifreeze and possibly oven type gloves if draining the system when hot. 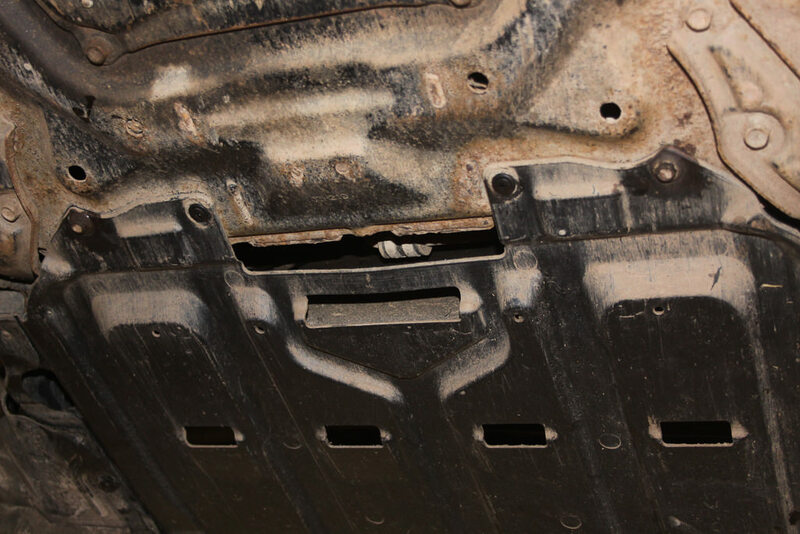 If the undertray is not to be replaced the radiator drain plug can be found through this hole in the undertray. This photo shows the actual drain plug. 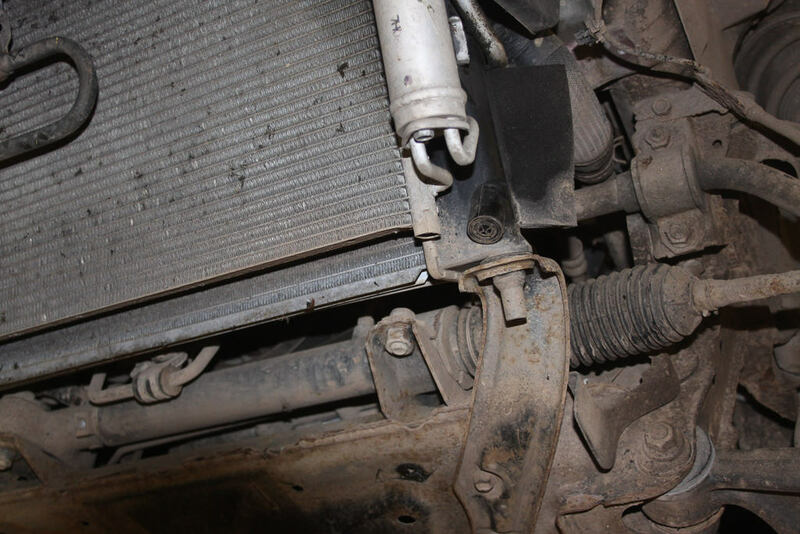 If the undertray is being removed, the radiator drain plug is at the right hand side of the radiator looking at it from the front of the car. Put the heater controls to hot, direction foot and face vents, fan to auto. 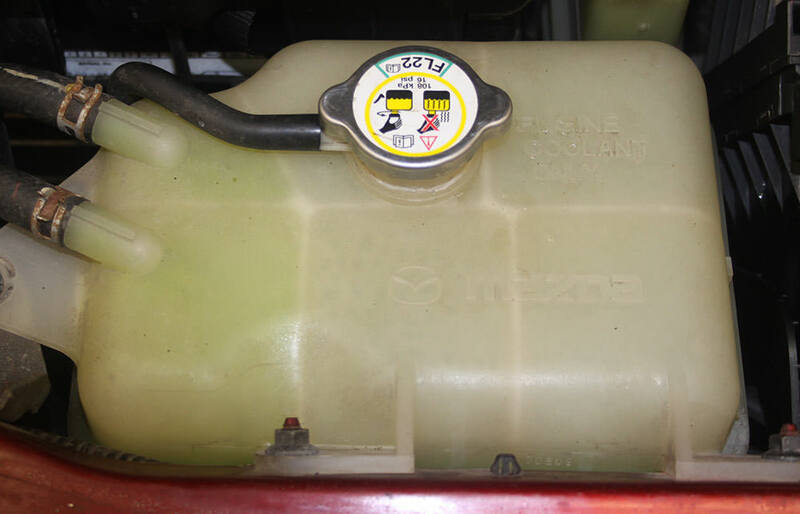 Remove the expansion tank cap and put it in a safe place, place a 5 litre open container below the radiator and remover the drain plug, the fluid takes about a minute to drain out. If you live in a soft water area use tap water, if you live in a hard water area you will need distilled water. Pour approx. 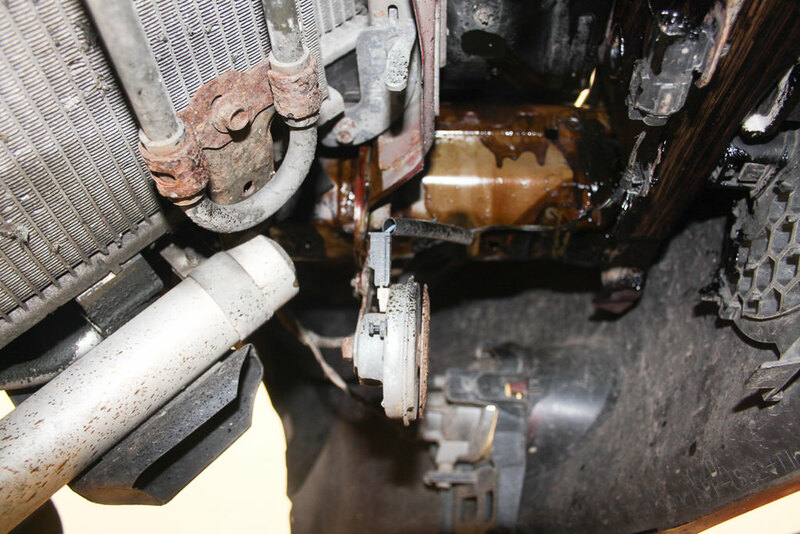 4 litres of water into the radiator to the full mark and restart the engine and let it idle for a few moments and pour the remainder of the water into the expansion tank. Run the car at 2,500 revs for a few minutes and top up the expansion tank. Run the engine at 2,500 revs for another 5 minutes or so and wait until hot air comes out the facia vents. At this point you will see the remaining coolant has mixed with the clean water and it has changed colour to light green. Stop the engine when this happens. The water will be hot, therefore I would wait a while before draining the system again. Then replace the drain plug. 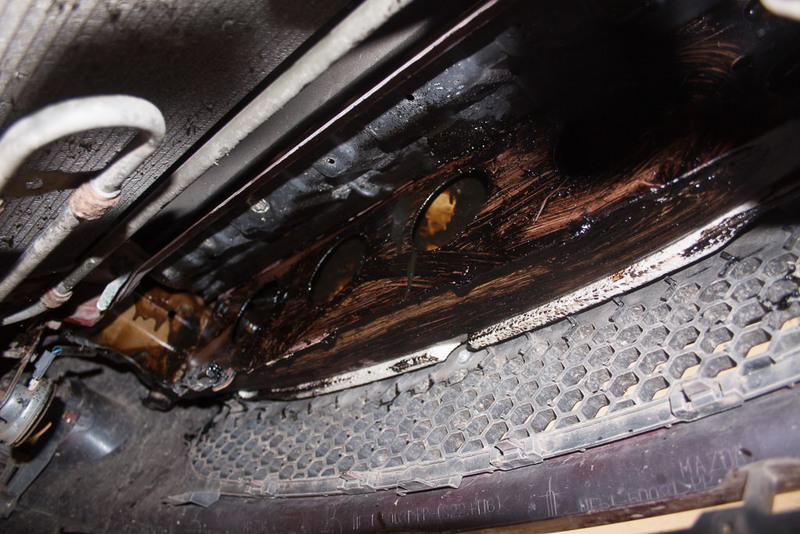 This car needed four flushes to get clean water out the system. Replace the drain plug. Using a funnel, pour 4.2 litres of concentrated antifreeze into the tank. It will not take it all at first run the engine at idle for a few moments then do the following actions as advised in the Mazda service manual but after after each action top up the radiator until you have used up the antifreeze then use plain water or if you are using premix pour it in until all the actions are complete. After each 5 second run, I would check the fluid level. If you are using FL22 premix just add the premix, it is unlikley you will use it all. 1. Run the engine at approx. 2,500 rpm for 5 min. 2. Run the engine at approx. 3,000 rpm for 5s, then idle. 3. Repeat step 2 4-5 times. 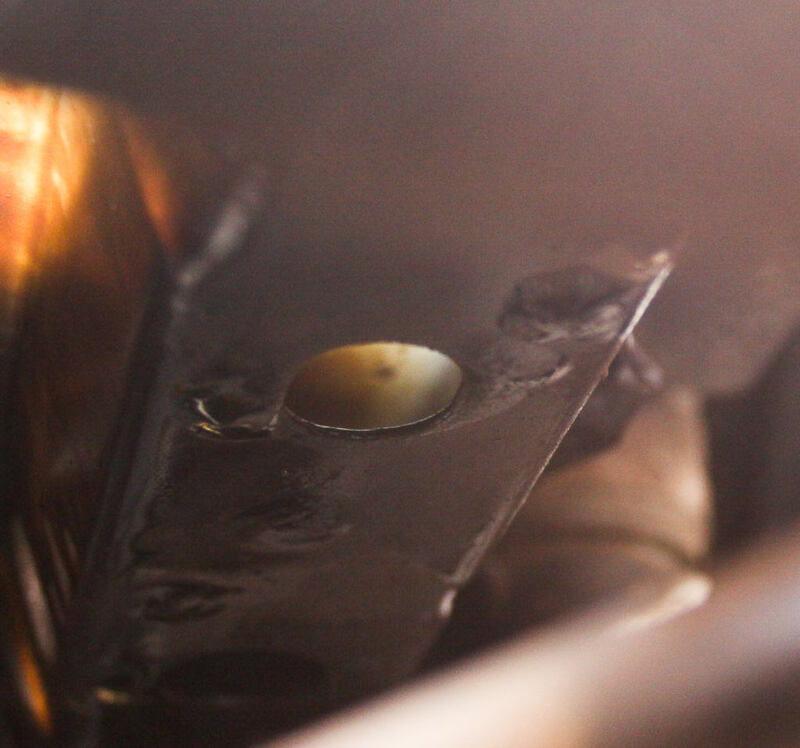 Stop the engine, and inspect the coolant level after the coolant temperature decreases. If it is low, repeat steps 1 thru 3. 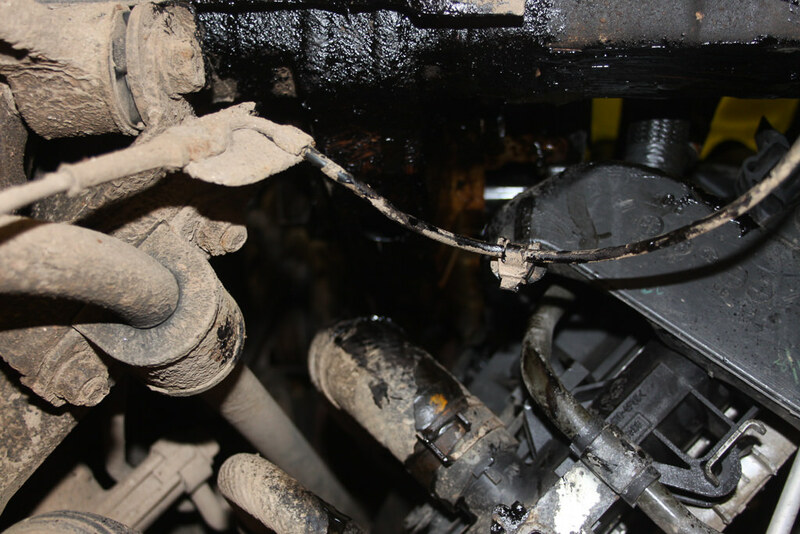 Inspect for engine coolant leakage. When happy that the level is correct replace the radiator cap. 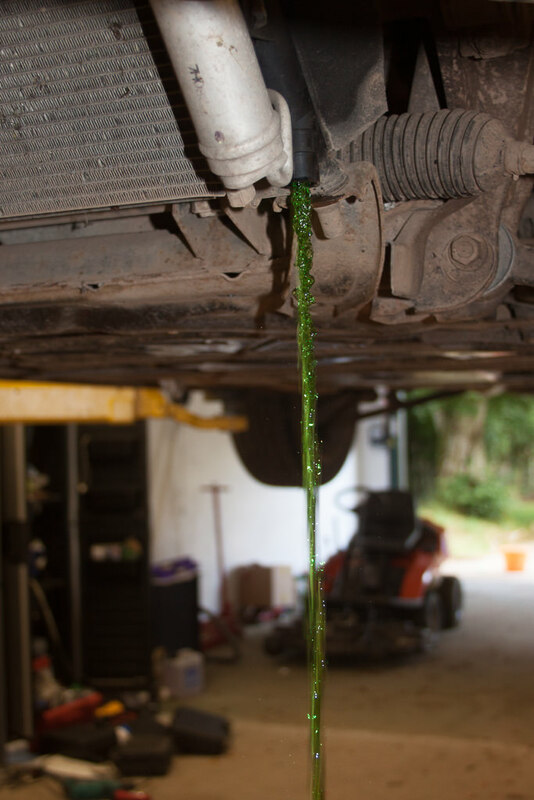 Take the used antifreeze to a disposal site. First a picure of the metal fixings. 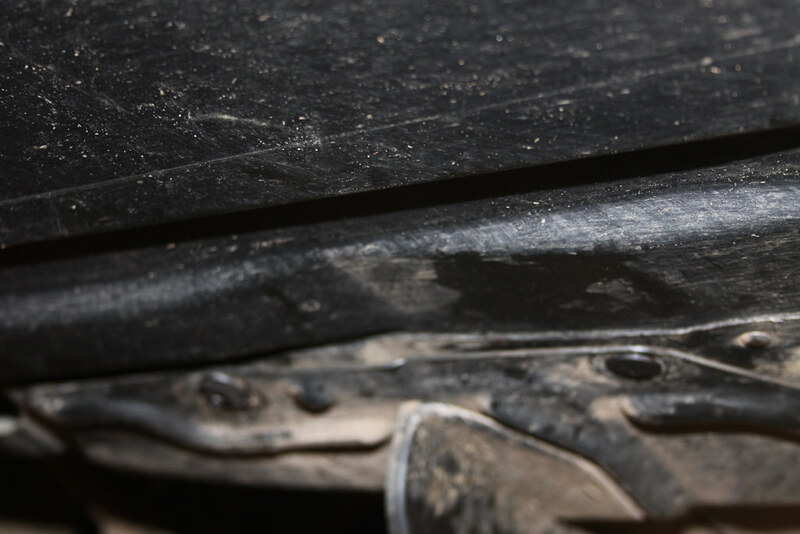 To the left the 8mm AF headed 12mm long rough screw that holds on the front of the undertray and lower wheel arch liners that screw into plastic. I would still grease them when you replace them. 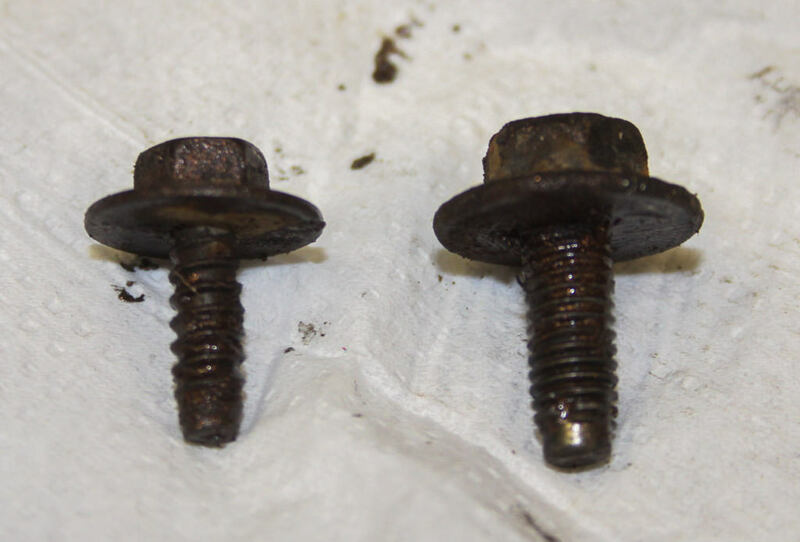 On the right the M6 x 15mm long bolt, 10mm AF headed bolts that screw into the front main crossmember. Pleny of copperslip on here when they are replaced please. If you want to check the front chassis rails do the following. Remove the two plastic fittings. 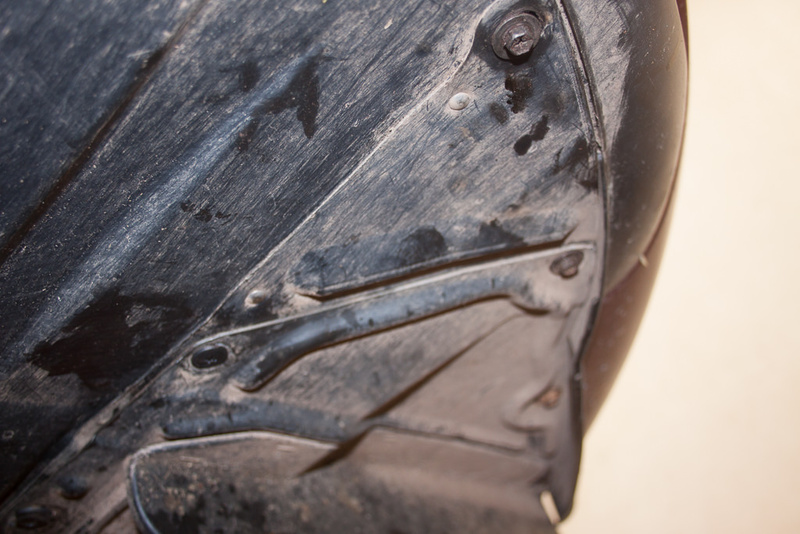 Remove the 10 off 8mm AF rough threaded screws from the front of the tray and lower wheel arch liners. 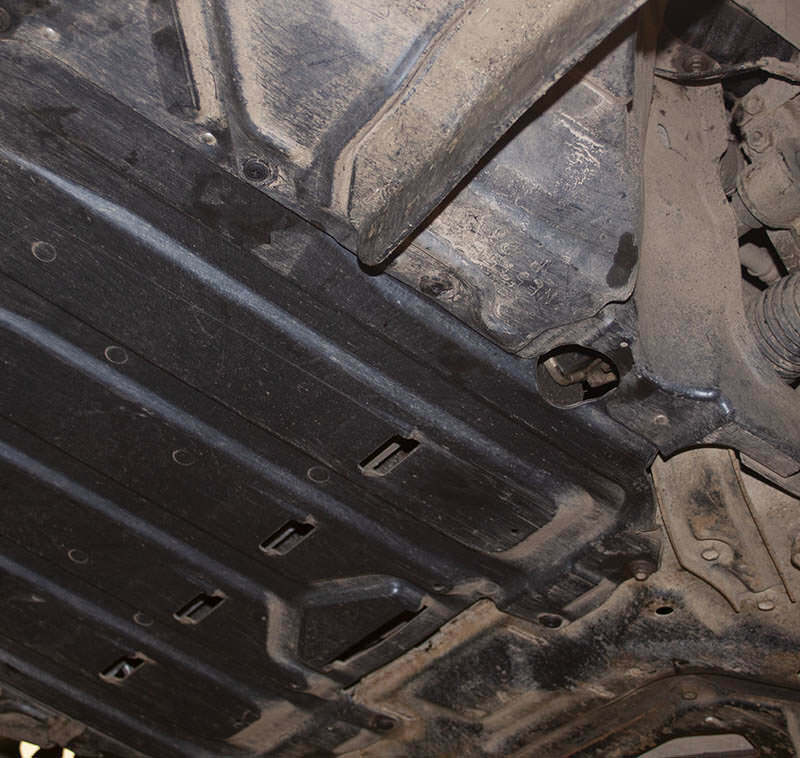 Remove a further 6 plastic fittings that hold the front lower wheel arch liners to the under tray. 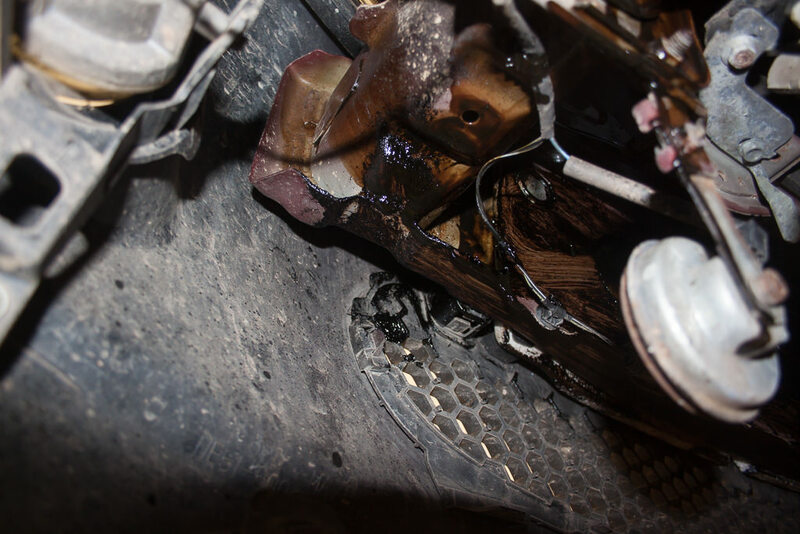 Remove the fixing that hold the ABS wire to the wheel liner, be careful here but they come out of the liners OK. Remove a further 5 plastic fixings on each liner. Remove both lower front liners. 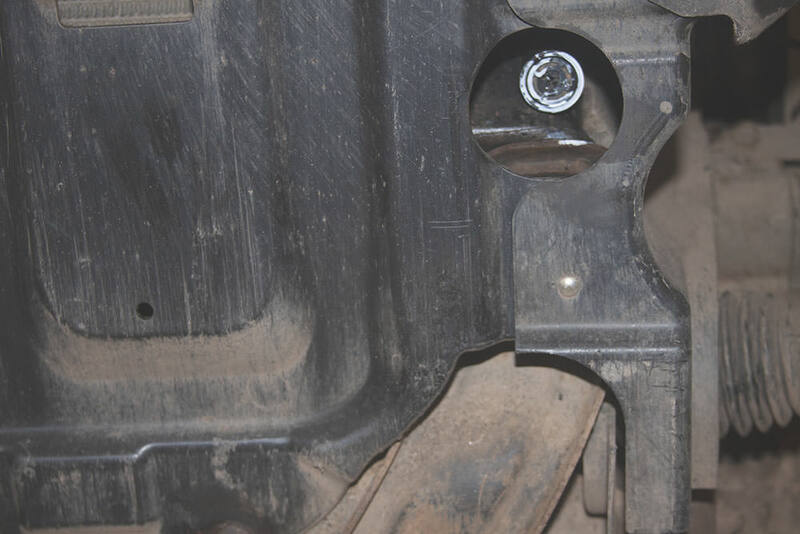 You will now see two 10mm AF bolts on each side at a higher level holding the undertray to the car, remove the bolts and grease. There is a further plastic fixing at the front of each side of the top of the under tray and they are a pig to get at. Brute force is best here. There are a few places that need treated but there was no rust needing rust converter treatment. The chassis rails need internally spayed with a cavity wax and there are plenty of holes to get the lance into. Similar with the chassis cross member behind the radiator. It was not possible to cover the complete external surface of this cross car chassis members due to stuff in the way. It is difficult to get a photo of the main crossmember but easy to get a probe in there to internally spray with cavity wax. There are a lot of surfaces that are a bit difficult to coat and a compressor powered gun would be too unwieldy in this area and get goo on the fan belt, therefore, I used some Bilthamber UB chassis wax from an aerosol on these external areas to reduce overspray onto other components. In certain areas I could painted surfaces with wax where I could get to them. 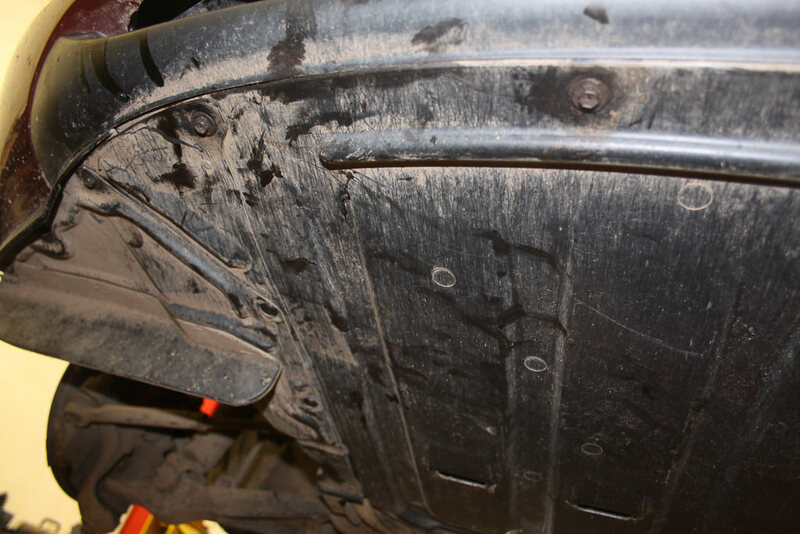 There is a further light duty front chassis member to coat just behind the bumper. 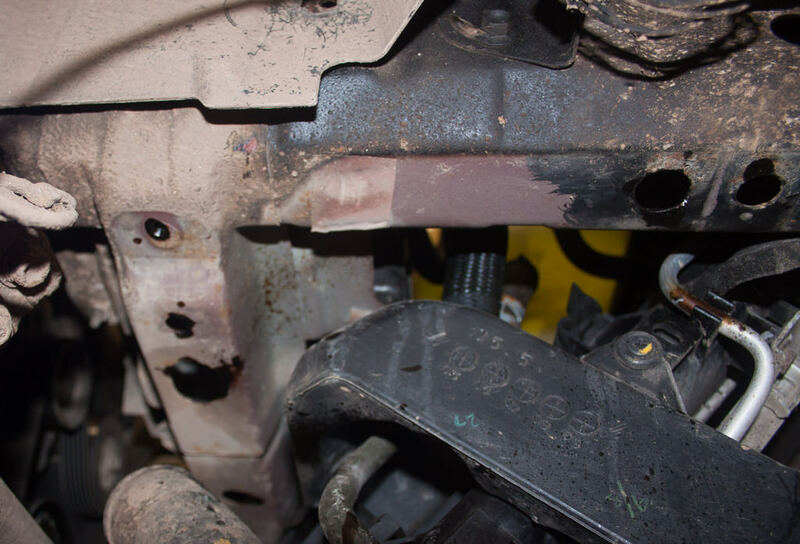 You can see the front part of the front chassis rail here joining this lighter duty cross member. Coated with Bilthamber UB that is a dirty brown rather than jet black. 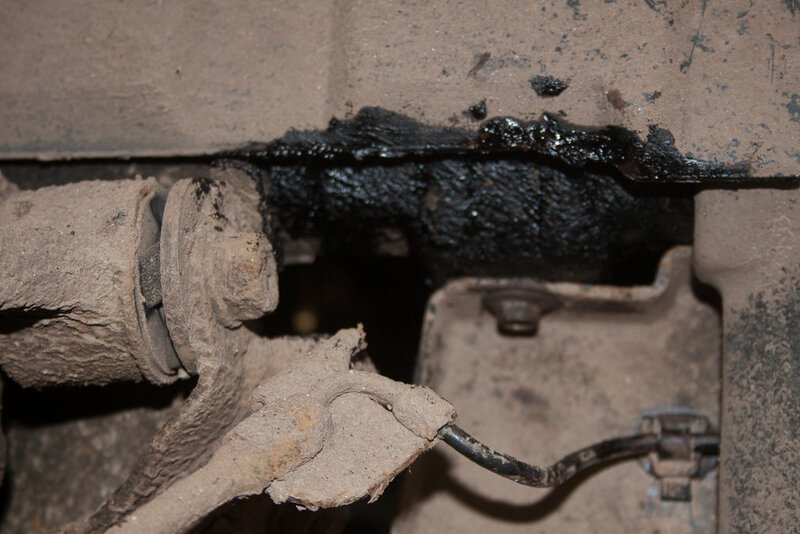 The ABS cable, be careful with this when removing and replacing the lower wheel arch covers, you can see the outside of the chassis rail painted with some Hamerite underseal that was sitting in a corner of the garage. This car has been used in Aberdeenshire for the last 6 years of it’s 10 year life plenty of road salt up here and there was no rust on the chassis members that could not be removed with an oily rag. Replace all components, replace the wheels, torque the wheels bolts to approx. 110 NM. Get car back on the ground and replace the wheel security key in the bag in the boot. Clean up the garage and get yourself cleaned up.